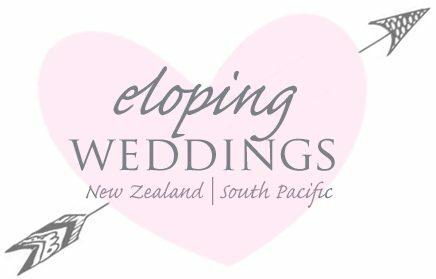 Marlborough weddings are made easy with Eloping Weddings New Zealand. Why is Marlborough such a popular wedding destination? Marlborough is New Zealands vineyard mecca and has the most scope of all the regions to marry in the most beautiful and picturesque wineries. Photos amongst the vines are really special and with so many luxury wedding venues. We can find the right venue for you that best fits your budget. Marlborough weddings in New Zealand are all about making the most of the region’s beautiful climate, amazing rolling hills and lush wine country. The scenery is amazing and frame your wedding photos perfectly. Ironically, and an added bonus is they sell wine at vineyards, yay! So you get to drink world class wines to celebrate the most important date in your life. This rich area of the Marlborough Sounds offers so much to do and see. You could be forgiven for thinking you have stepped back in time. Imagine a place where you can swim with dolphins, relax at world renown wineries, eat huge crayfish amongst the grandour of the snow capped Kaikoura Ranges. This is a place where you can watch whales pass by with a good feed of mussels, bluff oysters and crayfish. Marlborough has all of this and more. It will surpass your expectations. The warm, dry climate is perfect for wine making and also creating amazing wedding photos. Eloping Weddings will arrange your whole wedding day, saving time and money with a long list of world class vineyards to choose from. We have options for all wedding budgets. We arrange the whole event and provide you will proven suppliers that are local from the region so you can relax knowing your wedding is in professional hands. Taking things one step further, we also offer a ‘book your complete holiday itinerary’ service including further accommodation, adventures and activities. Marlborough is rich in history and is the flagship wine region for New Zealand. 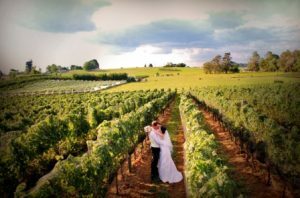 Its abundance of world class wineries and vineyards make this a top wedding destination. Marlborough has a year round warm climate with more sunny days than any other part of New Zealand. Its a well proven wedding destination with lots of scenery and activities on offer. Eloping Wedding have a list of excellent wedding vendors that are well proven professionals in the wedding industry. Once you book with us they are all ready to go for your big day. We have short listed and negotiated the best deals for you and put together only the very best suppliers to show case your day. From a wedding celebrant to hair and make up, we have your wedding day covered. We love to get your ideas and take into consideration your inout so we can personalise your photos, video and hair and make up to the best standard. Getting an idea of your likes and dislikes helps us get the most creative vendors for your particular style. Our package consists of everything you need to get married with style in Marlborough. See the list of professionals below. Contact us for an information pack complete with prices on our Marlborough weddings. We have a variety of options for your convenience. With a fantastic climate and a relaxed vibe, Marlborough is a great place to get married and continue your holiday with a variety of adventures. Things to do are wine tasting, the Queens Charlotte track, Brewery Tours, Boat tours, dolphin and whale watching, bike tours and kayaking. Excellent wineries to visit are Villa Maria Estate, Saint Clare Family Estate, Wither Hills, Cloudy Bay to name just a few.